Yet, for most of us, our photographs are likely to start gathering dust in a shoebox or on a hard drive once the initial exuberance for our overseas adventure has worn off. We archive them away as if they are contents of a time-capsule, not to be touched for at least another decade. If that sounds familiar, you could be sitting on a valuable resource. Not just sentimental value, but the kind of value that helps pay for travel and living expenses overseas. Digital technology has broken down the barrier to entry and heralded a new era in photography. And this has changed the landscape in more ways than one. High-quality cameras are as ubiquitous as the phones in our pockets (in many cases they are the phones in our pockets). And the internet has democratized the selling process, allowing anyone the ability to upload pictures that are immediately available to editors, designers, artists, or anyone else in the world in search of a photograph for a variety of uses. You might be more familiar with stock photography than you realize. Every time you browse the internet, flip through a magazine, pass advertisements on the street, or read a brochure, there’s a good chance a lot of what you see comes from stock photography. Stock photography websites are huge repositories of photographs, covering almost every possible subject you could imagine. Photographers from around the world simply upload their images to any one of a number of these huge databases, allowing magazine editors, designers, or practically any organization with a website to buy them. If an editor wants an image of the Eiffel Tower to go with a travel article, he or she has hundreds of options to choose from. If said editor wants a picture of a salad to accompany an article about healthy eating, it’s easy to log into a stock photography website and search for one. The beauty of stock websites for photographers is that once they’ve uploaded a photograph, it can be sold any number of times, to different people, meaning that it can continue to make you money in the background, again and again, without any more effort on your part. Elizabeth has been traveling with her husband since retirement. She has family all over the world, including a daughter in Abu Dhabi and two daughters in Australia, as well as various family members in England, New Zealand, South Africa, and Zimbabwe. For the past three years she has been nomadic, and so having a supplementary income that she can do on the go is important to her. “My interest in photography began when I was wondering what I was going to do in retirement. I began with travel writing, but it was the photos of those far flung places that really caught my eye. I wanted to try photography, but I needed to know more about it. I happened on a workshop in Spain and I had such fun, and learned so much, that I was smitten. And I knew that I could happily pursue photography as my new-found occupation,” she says. Though most stock photography websites let you upload your photos free of charge and then sell them, there are some differences between the services that you’ll need to be aware of. The biggest difference is between microstock agencies and macrostock agencies. Microstock agencies sell nonexclusive rights to images to an unlimited number of buyers. This mean that they can sell in high quantities, but the sale price will be lower. Shutterstock would be one of the most popular microstock options. Macrostock agencies, on the other hand, generally sell more exclusive image rights to higher quality images, at higher prices. Sales are fewer but earnings per image are usually higher. Alamy is one of the biggest macrostock agencies. Different agencies will also charge different commission rates per sale, so it can take time to figure out which agency is best suited to your particular needs. 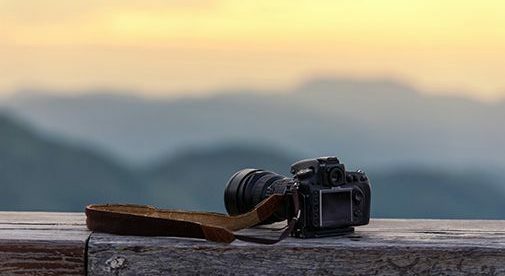 Stock is a great first step into photography, but there are plenty of other opportunities out there for expats who want to earn an income. Joel Duncan was only supposed to stay in Medellín, Colombia for a week, after friends had recommended it. In his native Toronto, Joel worked as a strategic marketing specialist for a telecom company. While traveling, he took a picture of a hotel lobby and was so proud of the shot he got that he showed it to desk manager, who also happened to be the owner. He loved the picture and offered Joel a deal: he could stay for free in exchange for a series of photos of the hotel. Despite having no formal training in photography, Joel decided he would try to pay for his travel accommodations with photos…and it worked. Joel’s business has since blossomed, and he moved to Medellín full-time. He specializes in interior, architectural, commercial, hotel, and real estate photography, focusing most of his efforts on foreigners with properties in Medellín. “Most of my clients are trying to sell or rent their properties or fill a hotel room or restaurant. In many cases the pictures are going to be the first things the outside world sees of their property,” he says. In a large city like Medellín there is plenty of work for Joel, as Airbnb owners are increasingly turning to professionals to take high-quality photographs for their online listing. If you like to take photos, you might be able to offset the cost of your trips, and build a nice side income stream, by selling the shots you take on your travels or while living abroad. 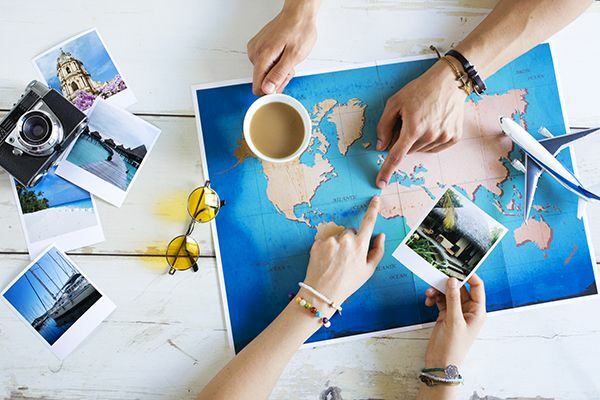 Whether you sell them through online stock photo agencies, directly to publications, or as prints and cards, there are a few simple tricks to making your travel photos more sale-ready. Every photo should have an obvious subject. It sounds easy enough, but many people simply lift the camera to the eye and snap a shot, without even knowing exactly what they’re shooting. Say you have a boat dock in front of you. Is your main subject of one big boat? Is it the bay? Is it the people on the dock? Ask yourself this question every time you shoot. Once you know what your main subject is, compose the photo so that everything in it supports that subject. Do you need that extra few feet of dock in the foreground, or can you eliminate it? Should you get closer? Can you cut out those random objects on the right or left? Keep your compositions simple and to-the-point. Sometimes that means taking a few steps forward. A simpler version of this is: Get your main subject out of the middle. Once you know what your subject is, move it 1/3 of the way to one side of the frame or the other. Whatever you do, just get it out of the center. Most publications and art buyers are more likely to want a photo of the Eiffel Tower if the sky behind it is blue with puffy white clouds, or has an interesting sunrise or sunset. Avoid shooting on dull, overcast days and in bright, midday light. Instead, shoot early morning after sunrise and late afternoon before sunset. If it’s cloudy, shoot detail shots, and wait for better weather to grab your cityscape and landscape photos. A lot of folks take one shot and move on, without thinking about what they’re shooting and how to make it better. The fastest way to improve your photos is to shoot more than once…and vary it up each time. Get closer. Get farther back. Get down low. Shoot through something. Shoot on an angle. The best shot may surprise you in the end…and you’ll learn a ton along the way.